When we started the wood pallet recycling, the collection of shipping pallets wasn’t hard at all. We could find it from various sites very easily. 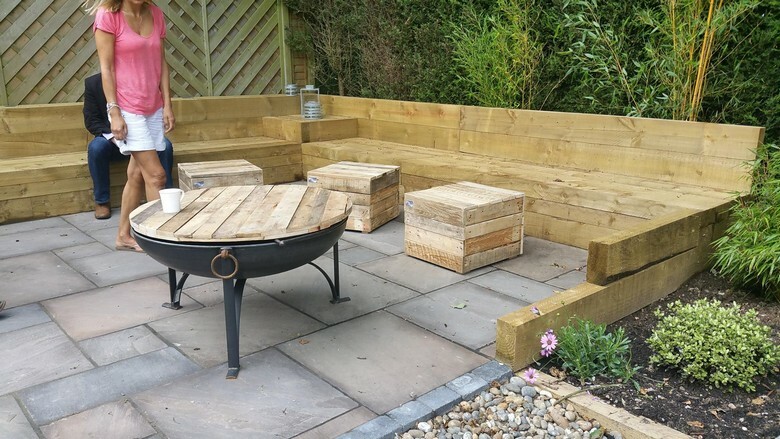 But as more and more people are getting inclined towards the wood pallet recycling I fear that in the near future time we will have to pay against this cheap material that was so far available pretty free of cost. But I think still this would be economical as compared to the market prices of the wooden furniture items. 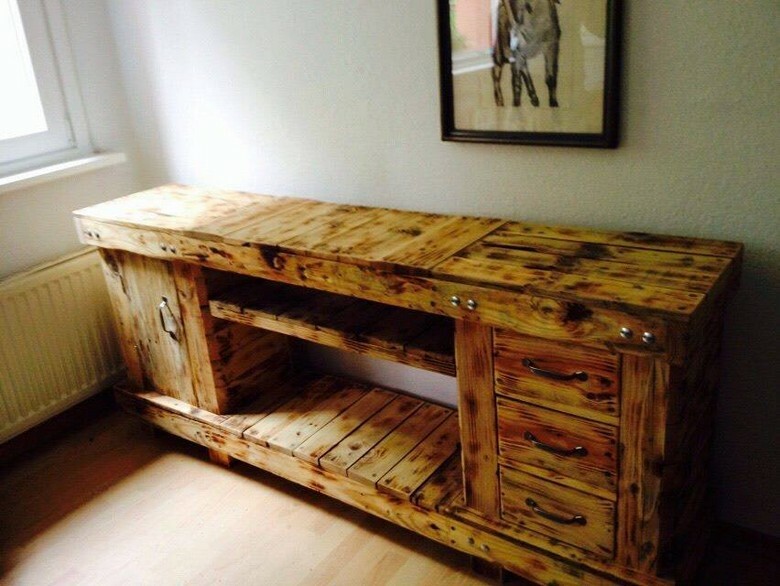 Let’s have some pallet wooden recycled furniture ideas that are too smart to be ignored. 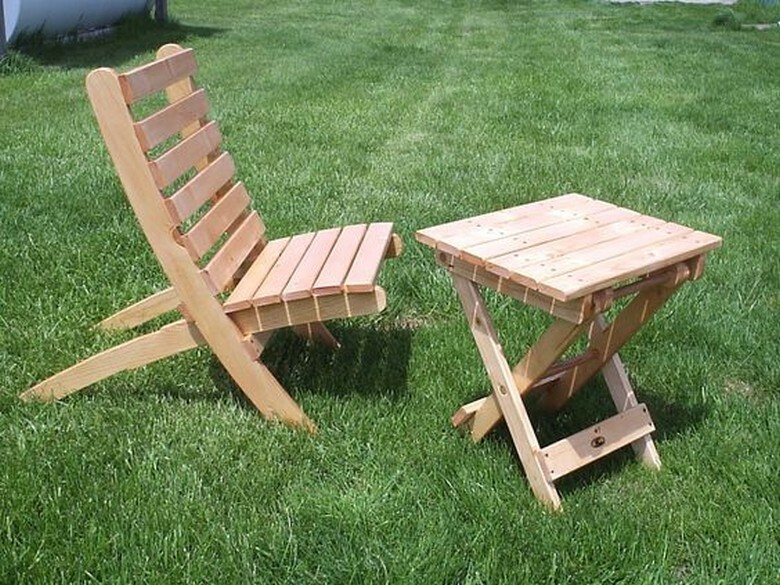 We normally like to begin with some simple and easy pallet wood creations that are quite handy to recycle. So we are beginning with this barnwood made side table. This is not a mere wooden table but a whole package of extra space and style, place it in any corner of the room. Such pallet wooden repurposed room beds are always great to work on as they serve us in a dual manner. Like they fulfill our domestic needs and at the same time they serve as a decoration piece as well. 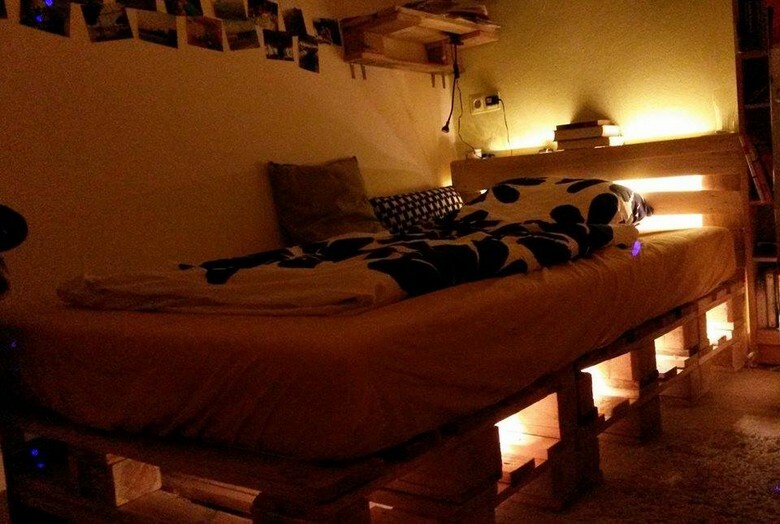 Despite of plain wood pallet this looks like an extra ordinary creation due to mere lighting work. 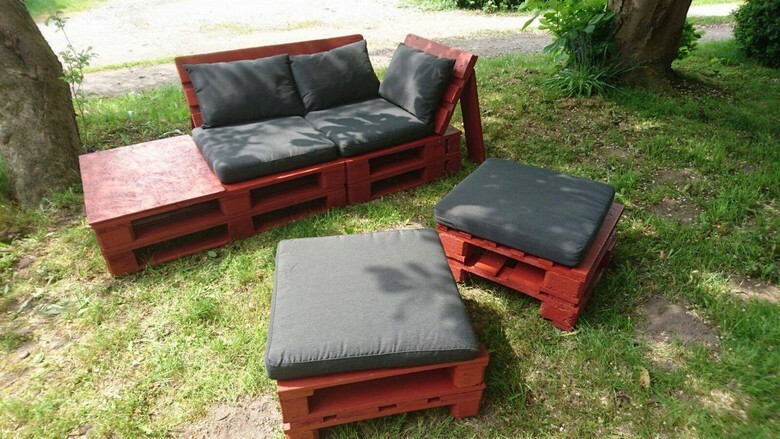 And you know what is so good about this wood pallet upcycled couch? Though it has got a simple and easy pattern but still we managed to spare some additional space for the books where a lot of books could be placed at one time. And this is again one of the simplest pallet wood recycled couches. 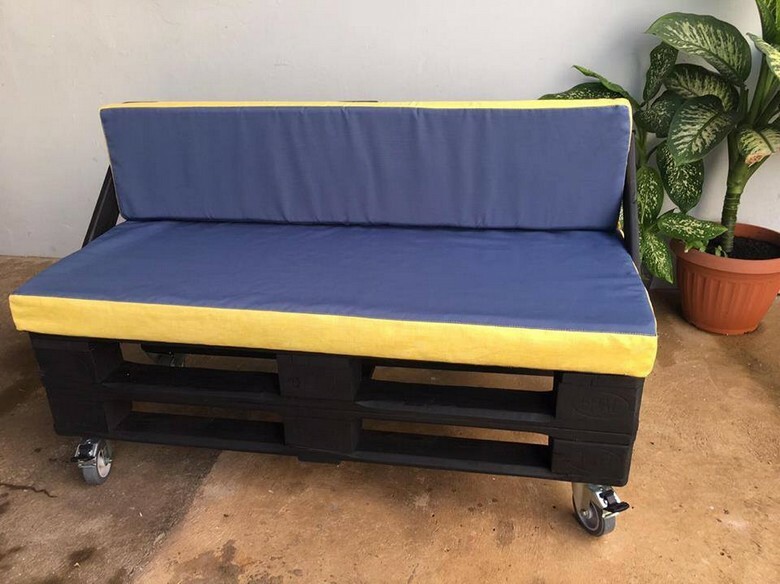 It has got a couple of whole shipping pallets in the base which provide with ample sitting space while the back that is quite low adds to the style of this wooden couch. L shaped couches are always a symbol of style and decoration too. Though they are not provided with some comfortable cushions but still they would add a lot to the comfort of your domestic life. The coffee table is also exceptional with extremely low to the ground shape. 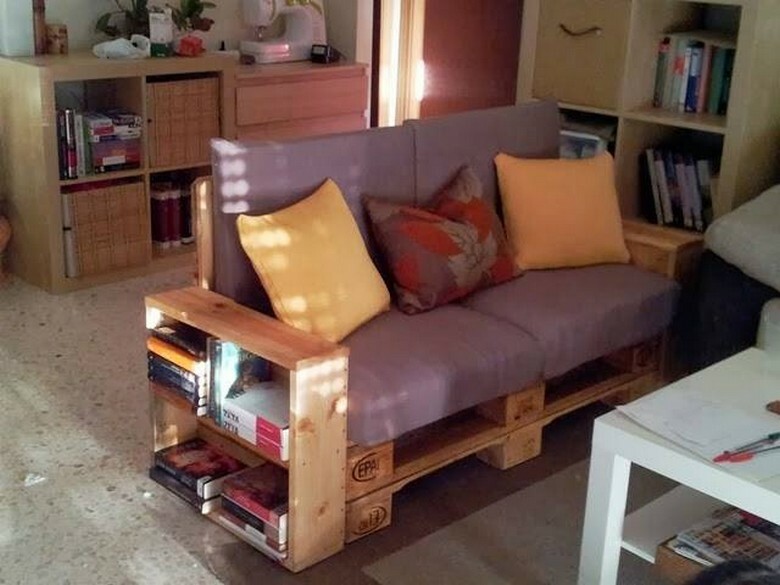 Again here we see an ultra stylish wood pallet repurposed couch that is not like the conventional ones. The sloppy rest on one side make it look like a dual purposed furniture item that would be used as a wooden pallet couch and a daybed as well. Same is the case with these unconventional wood pallet stools. While here in the patio we see a long installation of wood pallet couch in the entire patio region. This is just like a whole patio is turned into a wide sitting arrangement for the entire family and still there would be some excessive space. In the last pallet wood recycling projects the wooden couch and tables are relatively common that we have made so many times. 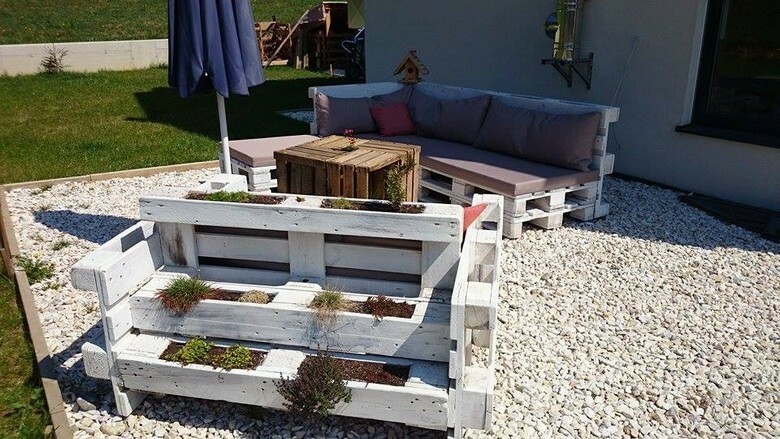 The thing that must be discussed here is the pallet wooden planter placed right in the front that is exclusively shaped as planter. 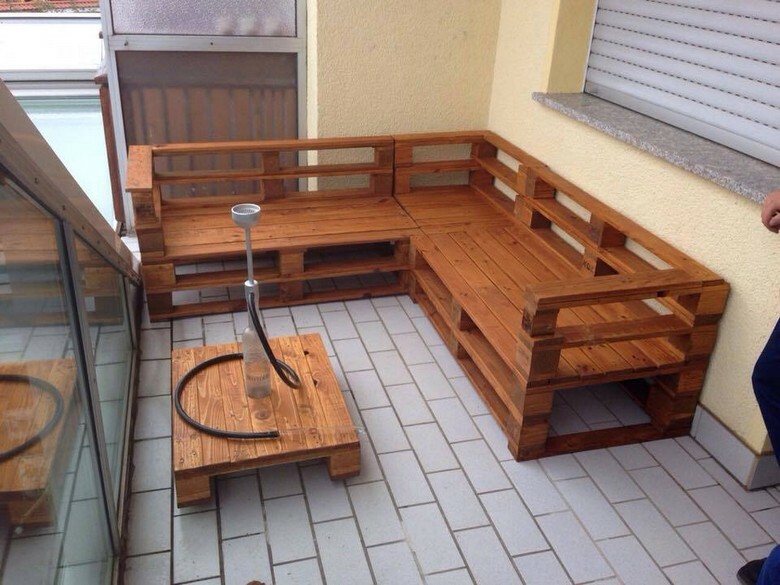 The design here is pretty similar to the pallet wood couches.